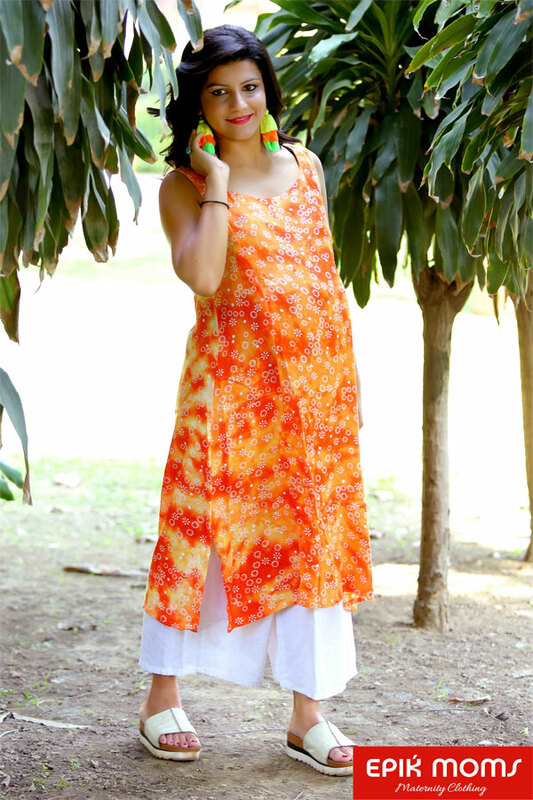 Create elegant look in our classic orange coloured nursing kurti made in lightweight breathable cotton viscose blend fabric with front zipper that help you feed in comfort. 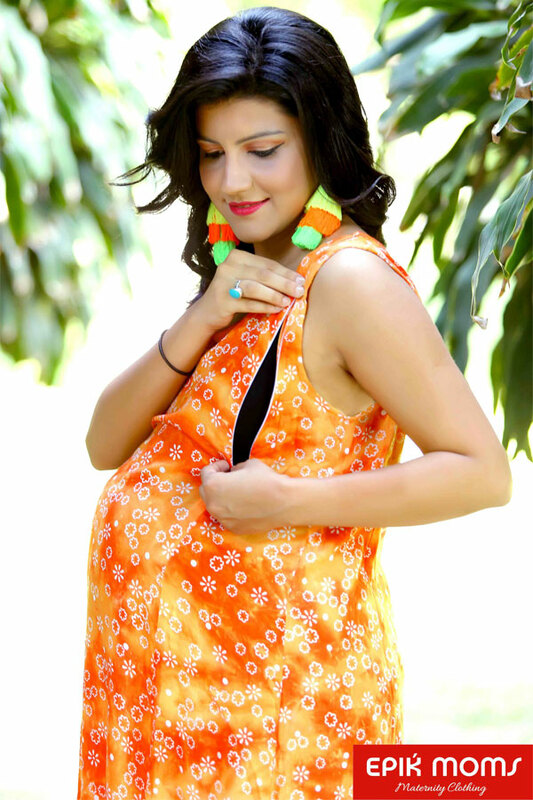 Wear it during pregnancy to give space to the growing belly and use it to feed later when the little one arrives. Team it up with your favourite palazzos on a bright sunny day.